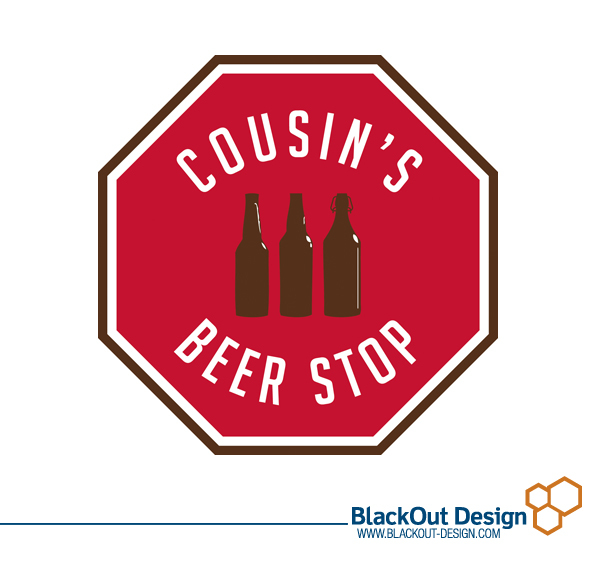 BlackOut Design recently teamed up with Cousin’s Beer Stop for a logo design! The owners of Cousin’s Convenient recently branched out, now offering a selection of beers customers and wanted a logo design to match their new venture. The design we came up with plays with the name of the store in the colors and shape of the design. Good luck to Cousin’s in their new business venture and be sure to stop by their location at 202 Betty Street in Archbald for their grand opening from 9 am to 5 pm on October 28th. Prizes including an Eagles Canopy Tent, Budweiser Keg Grill, NFL Tailgating cooler, tote cooler, neon signs, Cousins’s Beer Stop t-shirts and more!